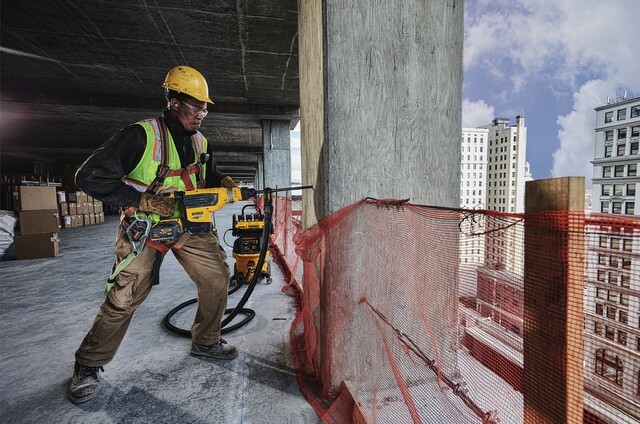 Dewalt recently announced its new line of large SDS Max hammers in 1-7/8” and 2” combination and demolition hammers, featuring the FLEXVOLT 60V MAX Brushless 1-7/8” Combination Hammer (DCH733). The FLEXVOLT 60V MAX Brushless 1-7/8” Combination Hammer (DCH733) features comprehensive protection features such as an E-Clutch system and SHOCKS Active Vibration Control technology. The E-Clutch System is an innovative bind-up control feature that increases user control in bind-up/stall situations by sensing a stall during use and managing torque accordingly. 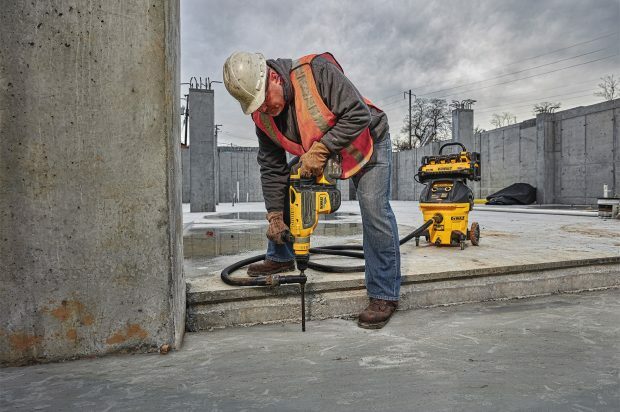 The FLEXVOLT 60V MAX Brushless 1-7/8” Combination Hammer achieves 13.3 Joules** and 350 RPM for fast and efficient drilling, even in hard concrete. The new large SDS Max hammers also include the corded 1-7/8” (D25733K) and 2” (D25773K) Combination Hammers that achieve 13.3 Joules** and 19.4 Joules** respectively and each come with an E-Clutch system and SHOCKS technology. They both feature a brush service indicator light, trigger lock-on (chipping only), ergonomic rear handle with soft grip, low vibration side handle, and SDS Max tool holder. The 1-7/8” Combination Hammer has an optimized drilling range between 3/4” & 1-¾”, while the 2” Combination Hammer has an optimized drilling range between 7/8” & 1-7/8”. Both offer two-mode operation in rotary hammer drilling and chipping only. New corded demolition hammers include the 19lb Chipping Hammer with SHOCKS technology (D25872K) and 22lb Chipping Hammer with SHOCKS technology (D25892K). Each features a large, comfortable trigger, service indicator and includes constant speed control. All of the new 1-7/8”, 2”, 19lb, and 22lb hammers feature a variable speed dial, constant speed control, and are Tool Connect Tag Ready (Tag sold separately). In addition to being part of a Table 1 dust compliant system, these tools are part of the Dewalt PERFORM & PROTECT line of tools designed to provide a high level of one or more of the following: control, dust containment or low vibration, without sacrificing performance. 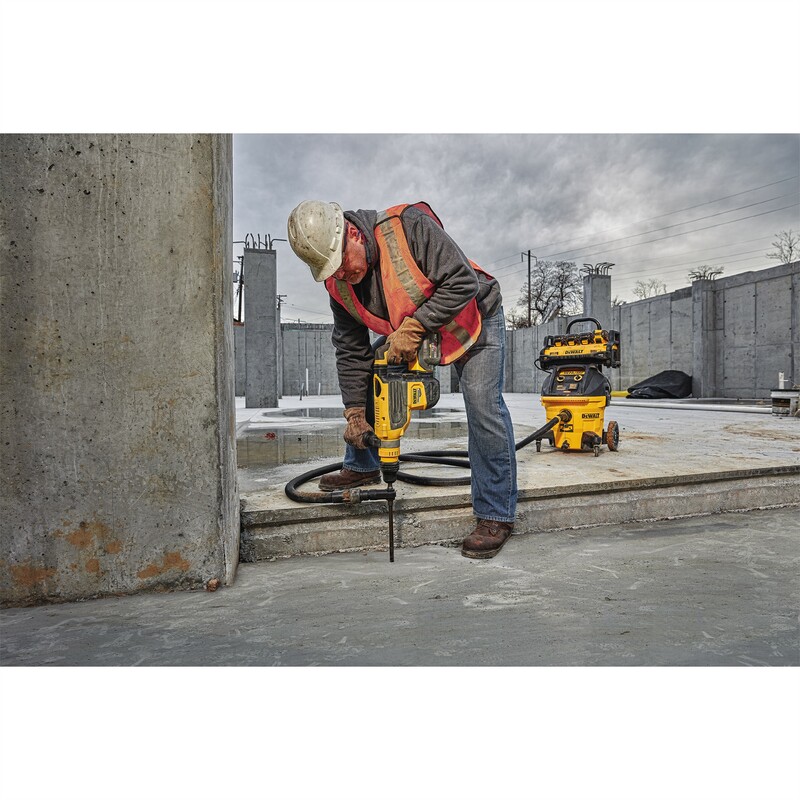 For a list of DEWALT PERFORM & PROTECT drilling and grinding solutions that adhere to the new OSHA ruling on protections for workers exposed to respirable silica dust, go to Dewalt.com. Also compatible with the new 1-7/8” to 2” hammers are Dewalt SDS Max Bits which feature a new technology that is designed to reduce fatigue and minimize breaking. The redesigned head geometry is bonded securely to a high alloy steel body that remains stable under high impact. SDS Max masonry bits are best suited for larger diameter and deeper hole drilling applications such as through-holes, post-installed rebar connections, and drilling holes for mechanical or chemical anchors. For use in concrete demolition or chipping, breaching cinderblock, rebar doweling, trenching and more, the line is optimized for concrete foremen, road, bridge, and tunnel trades, commercial mechanical, electrical, and plumbing industries as well as concrete restoration and renovation, commercial steel trades, demolition, and commercial tile contractors. Available in fall 2018, the new 1-7/8” to 2” Hammers will be available where Dewalt products are sold. They will come standard with a three-year limited warranty, one-year free service contract and 90-day money-back guarantee. With respect to 60V MAX* — Maximum initial battery voltage (measured without a workload) is 60 volts. Nominal voltage is 54. 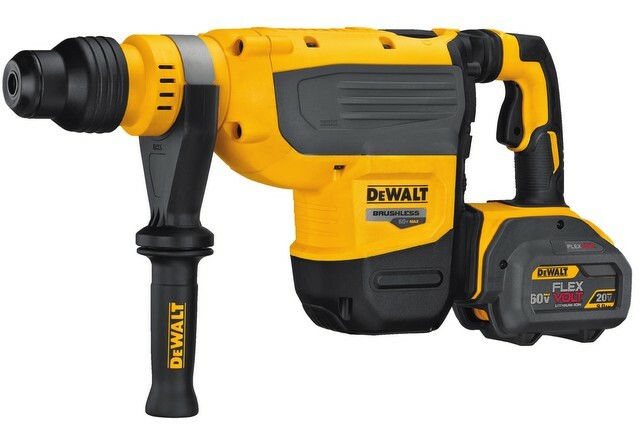 For more info on Dewalt, click this link. You can do it.